Everyone has the right to a friendly, safe and happy school, as it is within this type of caring environment that children can learn best. KPS will not tolerate any kind of bullying. By bullying we mean any behaviour, which repeatedly causes a child to be hurt or upset. The bully is usually, but not exclusively, someone who is in a stronger physical or social position. Bullying is different from an incident or disagreement, which is generally isolated, and can be dealt with easily when it arises. – Use the bully box to report incident if anonymity is preferred. 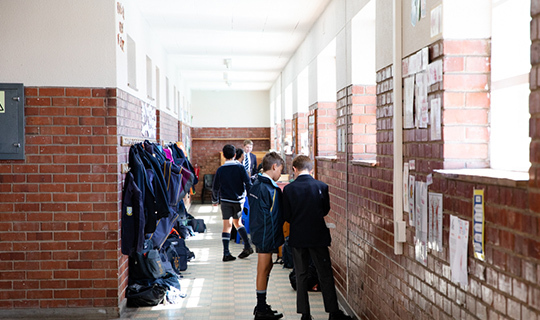 If a parent or guardian suspects, after noticing changed or unusual behaviour or actual incidents, that a child may be bullied at school, he/she should contact the class teacher or the principal immediately. Evidence of the bullying should be made available, if possible, so that an investigation of the situation may be put into action as soon as possible. Parents should not take the matter into their own hands by contacting the other child’s parents directly. The situation will be closely monitored for repeat offences.